Mid bloomer. 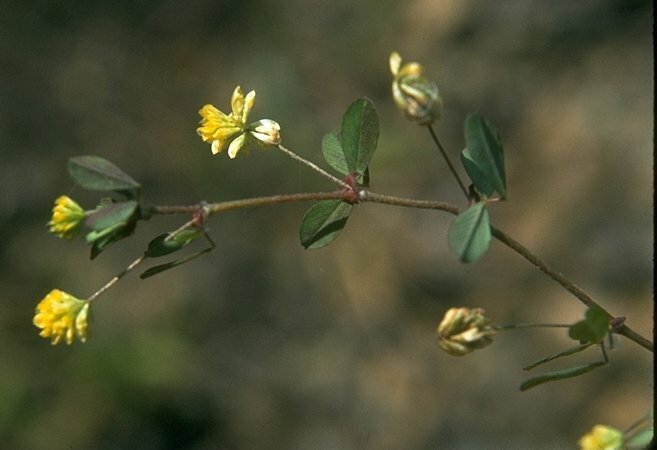 Tiny yellow flowers, three leaflets, low, many-branched trailing plant. Also called Shamrock. Notes: An alien species. The 3 palmate leaves have blunt ends. The flowers are in tiny loose heads. Peterson lists this as Shamrock and Hop Clover: Trifolium agrarium.